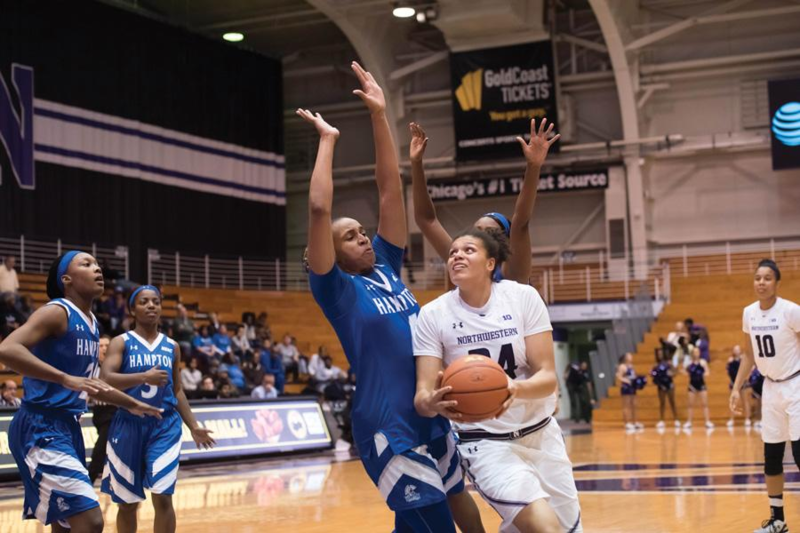 Northwestern picked up a much-needed victory Sunday, cruising to an easy 68-36 victory over Stony Brook for its first win in two weeks. The Wildcats (6-4) were led by freshman guard Lindsey Pulliam, who finished with 20 points on 9-of-15 shooting. Pulliam did most of her damage at the rim, only one of her 15 shots came from behind the arc and she took few of her signature midrange jumpers. The game was close at the start, with both teams shooting 7-of-15 in the first quarter and NU taking a 14-13 lead. The Cats pulled away in the second quarter, ripping off a 15-0 run to take a 32-17 lead and never looking back, rolling into halftime up 34-22. “We were just sticking to the game plan and focusing on what we were doing,” Pulliam said. NU pressed the advantage in the third quarter, opening up a 51-30 lead at the end of the period thanks to stifling defense. In the third quarter, the Seawolves shot only 23 percent from the field. The Cats forced 20 turnovers on the game and held Stony Brook to 24 percent shooting. The Seawolves struggled from deep, making only four of their 25 attempts from 3-point range. Crucial to NU’s offensive success was its ability to limit turnovers. While the Cats came into the game averaging 18.3 turnovers per game, they only committed 10 Sunday. Freshman guard Jordan Hamilton, who handles most of the point guard duties for NU, came in averaging 4.1 turnovers per game but only turned it over once against Stony Brook. The Cats are back in action Wednesday when they host DePaul.